McHenry, Maryland — Garrett College hosted the eleventh annual Mid-Atlantic Wildfire Training Academy June 4 through June 9. 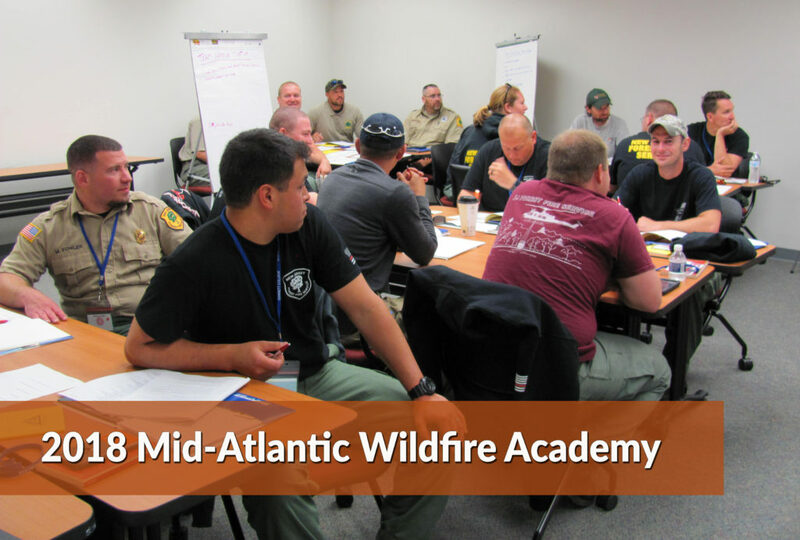 The academy is presented by the Mid-Atlantic Forest Fire Compact, Maryland Department of Natural Resources and the U.S. Forest Service. The academy offered14 classes this year that are essential to wildland firefighting, including fire behavior, equipment use, and leadership development. These classes meet National Wildfire Coordinating Group standards, and participants receive a certificate upon completion. Over 180 students are attending this year’s academy, according to Julie Yoder, Dean of Continuing Education and Workforce Development at Garrett College. Most participants are from local, state and Federal agencies that are members of the Mid-Atlantic Forest Fire Compact. Seven states make up the Mid-Atlantic Forest Fire Compact: Delaware, Maryland, New Jersey, Pennsylvania, Ohio, Virginia, and West Virginia. Compact members promote effective fire prevention and the control of wildfires in the Mid-Atlantic region. Collectively, these States are responsible for protecting more than 35 million acres of woodland. As drought conditions continue to plague the western United States, and a very active fire season is anticipated, compact members will be ready to assist there as needed. The compact reduces wildfire suppression costs for local, state, and Federal jurisdictions by allowing states to share personnel and equipment. The compact also minimizes the firefighting burden on any one state when many fires occur at the same time.